What Killed the American Folk Art Museum? 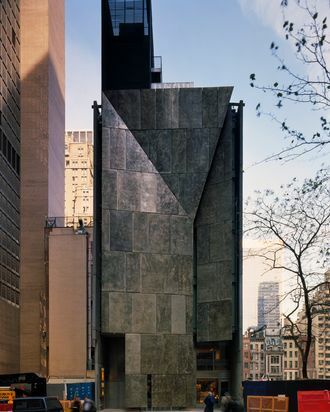 Last night, the American Folk Art Museum — that beloved, bedeviled museum on West 53rd Street — confirmed what many of us had feared for years. It is in such deep debt and has such low attendance numbers that it will sell its building and relocate back to a lobby space one sixth its current size near Lincoln Center. Sad as it is to say, this news comes as no surprise, and the culprit is the museum’s physical home. This terrible building will be sold to MoMA for an undisclosed sum. I can only imagine that MoMA will use the building for office space — perhaps freeing up much-needed room for its own sorely cramped permanent collection — or tear it down and start again. We may be at the beginning of a long period of undoing, of rebuilding or destroying architectural failures. In the years to come, those who oversaw and built many new museums and museum wings will have much to answer for. During a period when the West accumulated more wealth than at any time in the history of the world, a vast amount of ill-conceived space for art was constructed, as institutions wasted their energy on atriums and useless entertainment areas. Books and dissertations will be written, panels will be convened, ridicule will be heaped, as our descendants look back at these atrocious buildings and wonder how so much went so wrong. 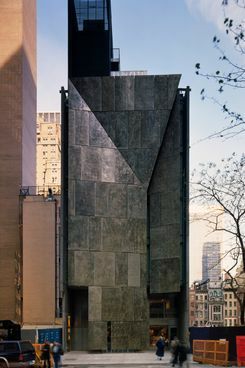 The American Folk Art Museum will probably be the first to be razed, and not the last.